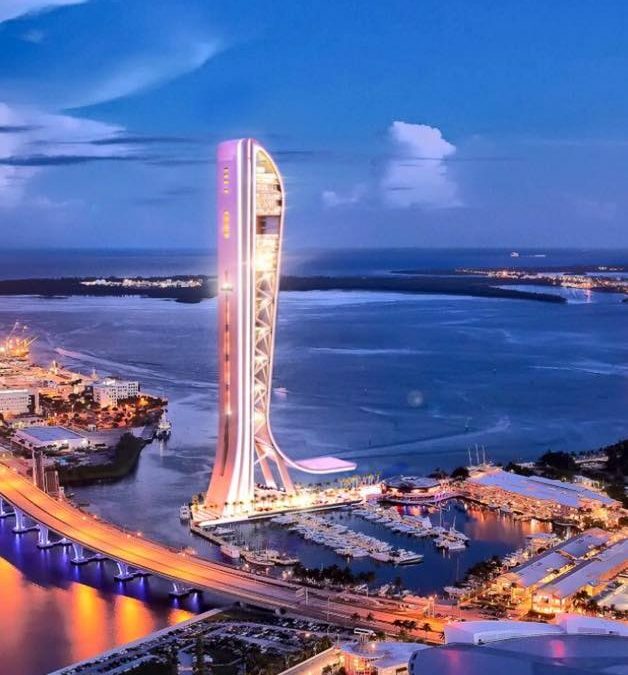 Skyrise has selected a contractor and set a groundbreaking date. Plaza Construction was hired as the project’s general contractor, according to The Real Deal, citing a press release. Groundbreaking is set for the second quarter of 2019, with excavation already underway in the past few weeks. Completion is scheduled for 2023. Skyrise is approved by the FAA at 1,045 feet above ground level, and 1,049 feet above sea level. Miami’s tallest building is now Panorama Tower, which stands 876 feet above sea level.